Had Frank Oz never directed a single frame of film, his place in the pop-culture pantheon would still be secure. Oz was the voice and hands behind some of the 20th century's most beloved characters, from Star Wars series guru Yoda to The Muppets' Miss Piggy and Fozzie Bear to Sesame Street's Bert, Grover, and Cookie Monster. But since emerging from Jim Henson's outsized shadow in the early '80s, Oz has also become a dependable comedy director, with a string of well-received hits, including 1986's Little Shop Of Horrors, 1988's Dirty Rotten Scoundrels, 1991's What About Bob?, 1997's In & Out, and 1999's Bowfinger. In the '00s, Oz has opted for more unexpected projects, like the flawed but compelling 2001 caper film The Score (one of Marlon Brando's last movies), the muddled 2004 science-fiction comedy The Stepford Wives, and most recently, the dark-hued, relatively low-budget British comedy Death At A Funeral. The A.V Club recently spoke with the legendary puppeteer and opinionated director about the hazards of working with Brando, the Muppets' stint on the first season of Saturday Night Live, and why he's perfectly fine with Yoda's evolution from puppet to full-on CGI. 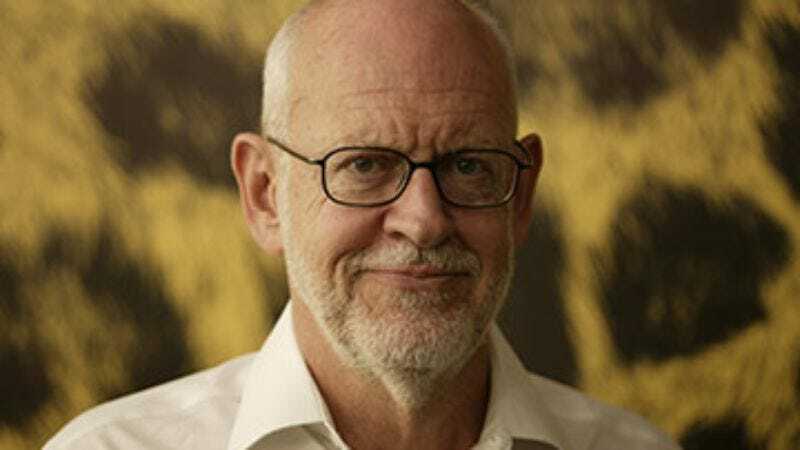 Frank Oz: Not The Score. The Score was extraordinarily satisfying and self-contained. The Stepford Wives was too big and it was unsatisfying to do. Not that it was unsatisfying to do, but it was unsatisfying as a result, because as much as I loved parts of it, and I'm really proud of so much of it, the entire movie wasn't what I wanted it to be. It's my own fault, I didn't follow my instincts. So I was really looking to get back to years ago, how I started having fun, just on these low, low, low, rather than big, big, big budget movies. This happened with Death At A Funeral, which only cost $9 million to make. AVC: What do you mean, not trusting your instincts? FO: Well, Stepford Wives got to be very big, partly because the actors and actresses were very big. When you do that, you get more of everything. You get more makeup people, more makeup people means more drivers, those drivers become Teamsters. It's not I'm against that; it's just what happens in a big movie. I'm used to it, but on Stepford Wives, for the first time and through nobody's fault but my own, all the actors were great, but I was too beholden to the budget —I felt too responsible if the budget was getting higher. And I don't like to work with that high a budget, and I tried to play it safe in decision-making, as opposed to following my gut, subversive instincts. And it was a mistake, my mistake totally. It wasn't a bad movie, I'm very, very proud of aspects of it, but it wasn't the more intimate movie I wanted to make. AVC: It was kind of pitched between social satire and horror/science-fiction. FO: It wasn't clear. That's 'cause the director didn't have a clear thought. Totally my fault. FO: There are focus groups with every movie. Sometimes I listen to them, sometimes I don't. AVC: How do you feel about the process as a whole? FO: I think the process is great, as long as you don't use it as gospel, as long as you go with your instincts at the end of the day. AVC: Do you think you have a British sense of humor, or a British sensibility? FO: I have no idea what a British sensibility or a British sense of humor is. [Laughs.] I have no concept of what that is. I have no concept of what American sensibility is. I was born in Great Britain, but I was only there for six months, and we moved to Belgium, where I grew up. I love Britain, I lived there for nine years doing shows and things, but I don't know what a British sensibility is. I'd like to have someone tell me what an American sensibility is. FO: There are stereotypes and caricatures in American movies, too. AVC: The idea is that a British sense of humor may be a little wryer, a little darker, a little more highbrow, perhaps, though there's certainly a kind of door-slamming farce to it. FO: Maybe. I bet you I could find movies in the United States that fit that definition too. Nevertheless, I'm not challenging you, I just don't know. AVC: It's not a negative thing at all. FO: Maybe I am challenging you, because I don't like to have these words banded about, like "British sense of humor," "American sense of humor," though I'll be damned if I know what they are. FO: Yeah, I can buy certain of those elements. In Death At A Funeral, I needed archetypes, because it's a traditional farce. I needed to do that on purpose. And I needed it to be in a country that had a sense of propriety and class, because of the secret from that movie—if it was a secret in a funeral in the United States, I think we'd know in 10 minutes. And in Britain, or say, Japan, where you also have to maintain a sense of propriety—at all costs, you've got to keep that propriety. Here, we don't have to keep propriety. It was important that it was in a country like England, and it certainly was written for British people, because it was written by a Brit. AVC: Why aren't more comedies set at funerals? FO: It's not the usual place. [Laughs.] I think they're ripe for comedy, because everybody is trying to act a certain way. I don't know, I guess it all depends—it's all about script. AVC: So between the first set of Star Wars movies and the second set, they started doing Yoda as CGI. You're very obviously associated with that character—how did you feel about that? FO: Fine, fine. George [Lucas] wanted to have a big fight scene, and he could not do a fight unless it was CGI, it couldn't be a puppet. If we'd stayed to the way we did it in the first two, then we'd be compromising the movie. AVC: So you didn't feel like there was a warmth or old-fashioned craft to puppetry? FO: Sure there's a difference with puppet-craft—who cares? I don't care about the puppet-craft, I care about what works. Who cares about the puppet and craft? It's not about that. It's about compelling an audience, and touching an audience in some way. AVC: You don't have a sentimental attachment to old-school puppetry? FO: Not one second. All I wanted was for the story to work. It worked, and it couldn't have worked, there couldn't have been that great fight with Count Dooku, unless it had been done with CGI. FO: Absolutely. Yeah, you don't want to stand still. AVC: How was it, returning to a character after 13 years? FO: Once you get a character, you lock it in your heart—it's there. AVC: They just put out the first season of Saturday Night Live, which hadn't been available on video even, let alone DVD. Did you watch the first season? FO: I haven't seen the first season for 25 years, since I was on it. FO: I never knew the first season was out. AVC: You haven't been getting royalty checks from it? FO: I don't get royalty checks. I never get royalty checks. FO: I used to, years ago, but now they're not my characters. They're physically owned by other people. AVC: What are your memories of doing Saturday Night Live? FO: It was great. It was wonderful to be part of something so fresh and new at that time. The Muppets were the only known commodity, except maybe for Albert Brooks, who did the short films. John [Belushi] and Chevy [Chase] and Dan [Aykroyd] and Jane [Curtin], nobody knew them. It was a wonderful experience every week to do the dress rehearsal and then the air. On the other hand, it was difficult, because we were on the wrong show. We were kind of punchy, cartoon-y comedy on a show that had Second City casual comedy, and the styles of comedy didn't mesh. And they were writing for us, and they really didn't understand how to write for us. Which is fine, it's very difficult to write for the Muppets. We were taking up airtime, and as much as we got along with all the guys there, the cast wanted more time for themselves. Personally, it was great, but professionally, it was problematic. AVC: How did the Muppets become part of SNL? FO: Bernie Brillstein was the manager of The Muppets' Jim Henson, and Bernie also managed John Belushi, he also managed Lorne Michaels, and at that time, we were the only people they knew. And so he thought we could help out and also be something of a draw, because of what we had done in the past. AVC: We talked about The Score earlier. At what point did Marlon Brando become involved in the project? FO: When I asked him to be. I went to Bob [De Niro] first, and Bob said yes, then we were going to—I forget who was first. Maybe it was Marlon next, then I think it was Edward [Norton]. So I wanted Marlon. AVC: So everything fell into place once Brando was involved? FO: Once Bob was involved. Without Bob, I could have never got them. AVC: What was your first impression of Marlon Brando? FO: Well, first impression is unfair, because a first impression of somebody is guarded, and you don't know the person. I think after I'd had a couple of two-hour meetings with him, personally and quietly in his home, and we worked for three weeks together… And it was a hellish time, very, very tough time for him and me. But I thought after a while, first impressions are the impressions that anybody gets, looking at Marlon Brando in a newspaper. So that doesn't help. The actual person inside, I think he was tortured. I think he was distrustful, and I think he was a genius, and I think he was wonderfully childlike and innocent and very tender and sincere and sensitive. AVC: It was the first studio production he had been in, in many years. FO: Yeah, and not 'cause of me. He didn't know who I was. I think it was because of Bob and the money. AVC: Because of the stories about him, did you prepare yourself for the worst? FO: I prepared myself too well. I told myself I would not allow him to turn this into The Island Of Dr. Moreau. I would not let him take over. And I was just wrong. I was not nurturing, so it is my fault, so we clashed very badly. AVC: After The Godfather and Last Tango In Paris, it became very hard to control him. FO: I think he saw the hypocrisy in the business. In my opinion, there are more things in the world that were important to him, he was more of a world man, and he was not interested in a career in show business. In my opinion—again, it's only my opinion—I only knew the man for three weeks, and for a couple of hours twice in his home. So I don't know him that well as a man. But from my observation, the only thing he really liked about the movies was from the moment I yelled "action" to the moment I yelled "cut." You can't be that good and not enjoy it. AVC: Was it intimidating working with actors like Brando, De Niro, Angela Bassett, and Edward Norton? FO: No, I can't be intimidated. If I stood back and said, "Oh my God, I'm working with Marlon Brando and Robert De Niro and Edward Norton and Angela," then I'm not too involved in the characters. To me, they've got to be the characters. If I'm intimidated, I shouldn't be directing a movie. I gotta treat 'em as characters, not as stars. It's hard to not treat Marlon Brando as a legend, a star, it's difficult not to treat Bob as a star, but that had to go away very fast after I knew them, because I had to work with them. I'm the director, I'm the boss. They're looking to me for guidance. AVC: The Score is one of the last restrained performances Brando ever gave. Do you consider that a triumph, that you did manage to direct him? FO: It was hard. And it's interesting you say "restrained," because it was a battle to be restrained. Marlon was trying to make more of a statement in his acting, and I wouldn't let him, and I was very tough—I should have been more nurturing, it was more my fault. But because I wasn't, he hated me, and wouldn't really let me direct him after that. So I said I directed the movie, but I really didn't direct Marlon—90 percent of the time, he wouldn't listen to me. But I do believe I'm very happy with his performance, because it was naturalistic. As a matter of fact, when he was forced to not do the character he had created, which was too large as far as I'm concerned, and he was forced to be more natural, what you see up there is Marlon. And I remember going over to him, 'cause he didn't want to hear from me, but I remember going over to him when he and Bob did a scene together at a table, and I said, "This is great, this is wonderful." And he said, "I have no idea what I'm doing." And he didn't, because he didn't have a character, he was just being himself, and that's exactly what I wanted. AVC: After a while, the impulse with him was to go way over the top. FO: That's why I wouldn't allow it. AVC: What was his original character? FO: Well, I told him, "This character is gay, but I don't want him to be overtly gay." I had just done In & Out, for God's sake, I'm not gonna make fun of gays. In his home, he showed me how delicate it would be, and I said, "Great." But on the set, it was way over the top, to the degree that my editor looked at me and said, "Holy cow, can we use this?" We had to junk the first day of shooting, and I handled it very, very badly. And I was too tough. It was a big mistake. I learned a great deal, that even the greatest actor in the world, Marlon Brando, is scared and needs nourishment. So it was a good sad lesson, but it was certainly a lesson. That character had to be restrained, otherwise the Bob De Niro character would not have worked with him. AVC: It's all about chemistry. FO: It's not about chemistry, it's the fact that Robert De Niro's character was a professional thief, and very under the radar. He would never have worked with anybody who's flamboyant and over the radar—you want to be invisible. AVC: That seems to be the whole core of The Score—that these people are professionals. FO: Totally, and that they're under the radar. So now I look at it, and I'm very pleased with what Marlon did. Sadly, Marlon was very unhappy about it. AVC: You talked about your instincts being darker, more subversive. In the original ending of Little Shop Of Horrors, apparently everyone dies. Were you surprised that you got away with filming it? FO: No, David Geffen was very supportive of how Howard Ashman and I wanted to do the original ending. David said, "You can't do that, you can't kill your leads," but he supported us. Two years later, we killed our leads and the audience hated us for it. They loved those leads, because in a stage play, you kill the leads and they come out for a bow—in a movie, they don't come out for a bow, they're dead. And the audience loved those people, and they hated us for it. It got very, very, very exceedingly low scores as a result, so we had no choice but to re-shoot it. And I believed it was the right thing to do. I was unhappy that Howard and I couldn't solve how to use a million dollars worth of great B-movie shots and footage, but we had no choice. AVC: It's an interesting project, because the original was such a tiny little thing, and then it was turned into this giant musical. FO: But actually, it's not a giant musical. AVC: But it feels that way, it feels like a really, really big movie, which is a testament to your direction. FO: I disagree. If you really look at all the big movies, like Fiddler On The Roof, My Fair Lady, Sound Of Music, etc. etc., those are big musicals with huge crane moves and wide vistas and shots. And I kept it, very on-purpose, an Off-Broadway feel. It's only one street, it's all we had. AVC: It seems a lot bigger. FO: It was certainly "big" compared to the original stage play, but it was an Off-Broadway thing and I tried to keep it that way. AVC: Would it be safe to say that you preferred the original ending? FO: It's not that I preferred the ending, no. Our job is to entertain an audience, it's not just to do it for the director. You might as well sit in a white room and look at the movie for the rest of your life—it's ridiculous. I was frustrated that I couldn't use the ending, use the special effects with the ending, that's all. I'm not happy with the happy ending and I'm not happy with the original ending, because it doesn't work out, everybody is unhappy in the theater. So there's no real answer at that point. FO: You have to succeed, and then once you succeed, you can't kill them. No, I take that back, if you succeed and you kill them, you've got to kill them in such a way that the audience feels satisfied—that he died for a higher cause or something like that, like the guy who jumps on a grenade and saves his buddies. That's a different kind of death, [and] we didn't have that kind of death. AVC: Did The Score lead you to want to do non-comedies? FO: Oh, sure. I've always wanted to do non-comedies, I've always done dramas, comedies, music, and I always like to bop around and do different things. I'm looking for something a bit tougher, more muscle mass, something small, but the thing is, I get all the best comedy scripts, I don't get all the best drama scripts. So I'll just go with what's the best script. AVC: Do people think of you as a comedy director? AVC: Well, you've had a lot of successful comedies. FO: I haven't screwed up so far. AVC: Were you ever in talks about directing Willy Wonka? FO: Nope. Never. Never heard of it, never offered. Don't listen to IMDB. I was asked to direct, like, the second Harry Potter and things like that, but I have no interest. I've done too much big stuff. FO: Well, it's interesting, when you say "voiced," what does that mean? AVC: That you provided the voice for. FO: And who did the character? AVC: And that you also did the character for. FO: When people say characters are voiced, then what's the rest of the character? The character actually moves—who do you think does that? AVC: That would be you. FO: And that's 99 percent of the hard part. The voice is the easiest part. It's so odd. People always say that, and they don't even think about the charactering. FO: Anyway, it doesn't matter, but I'm always curious why people think that, but I guess they do. AVC: People compartmentalize. There aren't that many people famous for their voice work. FO: I'm not Mel Blanc. AVC: Famous for the characters created. FO: It's interesting, and it's another discussion. I'm always amused that people zero in on one thing, and it's the wrong thing to zero in on, but nevertheless, the reason they do that is because the voice is what they know—the voice represents everything about the character, that's why. FO: And these animators work their asses off. When I did Yoda, me and three other people worked our asses off, and I was sweating every single day, it was tough as hell. Now that it's CGI, 24 people work on Yoda, and I get all the credit —I do nothing. AVC: So you feel like Yoda belongs not so much to you as to those 24 people who animated Yoda? FO: Once they start animating, yeah. The other Yoda belongs to me and those other three people, but absolutely: It's not me, it's them. AVC: So of all those characters, which is the closest to you? FO: I don't know, they're all facets of my personality—if they weren't, I couldn't do 'em. They're all filtered through an exaggeration and a professionalism. I haven't done them in four or five years, I don't do them anymore. AVC: You were very involved in the creation of Yoda as a character. How did that come about? How were you approached? FO: They approached Jim Henson, and Jim suggested me. And then I threw a couple of ideas in with Jim Henson's suggestions and such, and George Lucas and Larry Kasdan wrote the character, and I just kind of worked hard in putting all these elements together. But I had an inkling immediately who Yoda should be, it hit me. AVC: What was that inkling? FO: That he was incredibly powerful, very wise, but very much a human being as well. That just hit me, that's all. AVC: Did you come up with the way the character talked? FO: No, it was written down, but I said, "George, I think there's a reason he talks that way, and I'd like to do more," So I just I made it all the time instead of just sometimes. AVC: You rewrote for the script for The Muppets Take Manhattan, right? FO: Yeah, my writing partner and I rewrote it. I'm not a writer, but yeah, I did. AVC: You weren't happy with the original screenplay? FO: Yeah, I was unhappy with what was done, because it was not in the Muppets' intended character. It was too broad, and it was not affectionate enough. AVC: How did you find the writing process? Did it make you want to do more of it? FO: What I'd do—I'm not a writer—I'd do a lot of rewriting. I've rewritten a lot of the scripts I've done, Little Shop Of Horrors was a complete rewrite, but I didn't touch the dialogue. Essentially, I'm a very good editor. AVC: Of all you've accomplished in your career, what are you proudest of? FO: This interview right here. [Laughs.] I'm most proud of my kids, for one, and my family and my parents. Outside of that—what am I proud of? I don't know. I don't look back, I just go forward. I'm just proud of the fact that my parents were immigrants and we had nearly nothing, and all of the sudden, with the help of a lot of people and my parents as a model, I amounted to something. And I'm doing some very decent work.